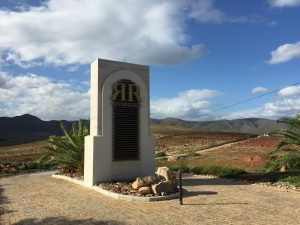 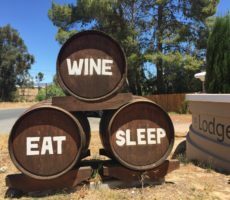 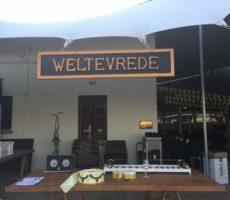 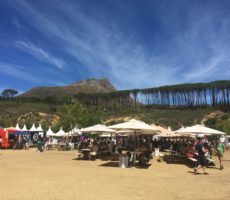 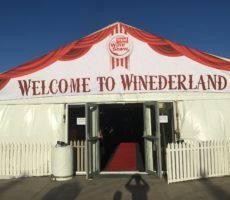 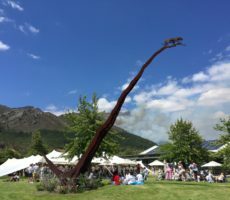 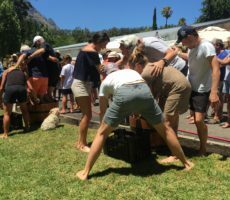 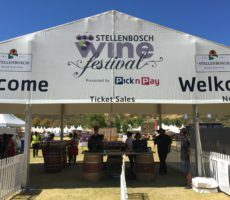 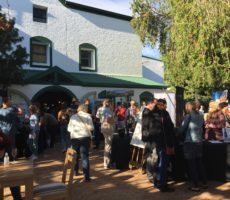 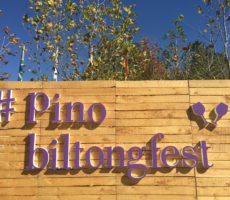 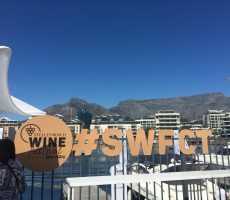 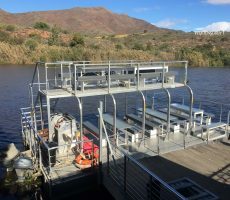 I remember passing Rivergold, located south of the Breede River between Arendsig and Quando, at last year’s Wacky Wine Weekend. 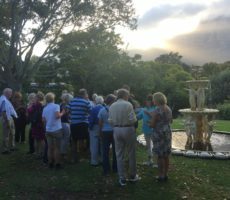 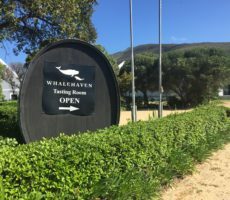 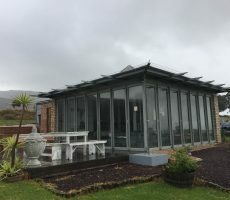 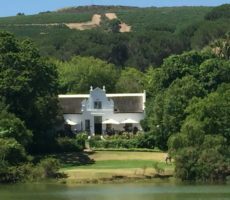 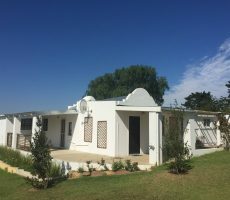 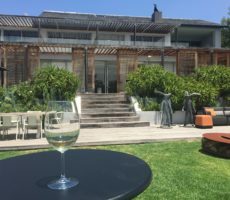 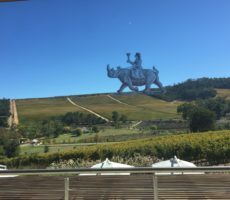 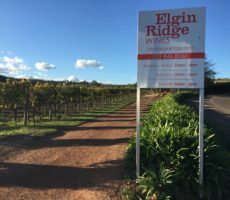 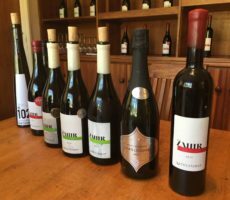 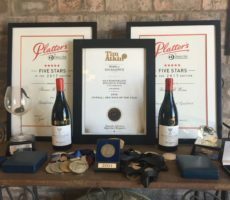 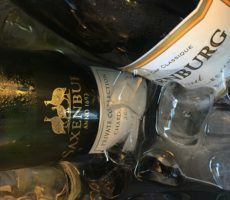 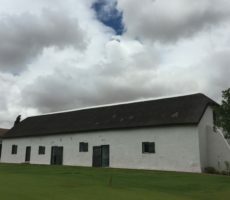 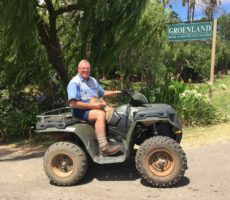 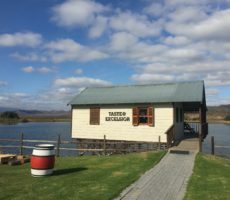 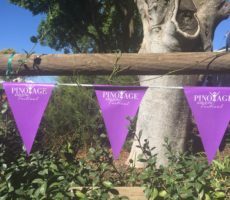 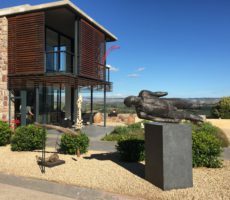 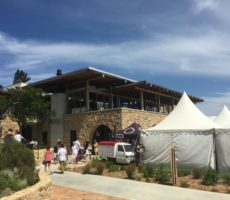 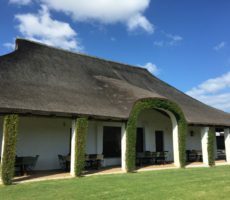 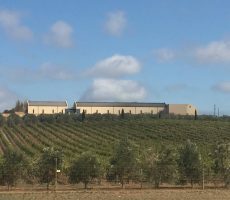 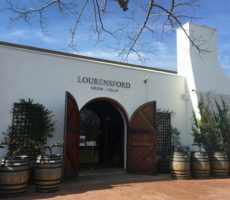 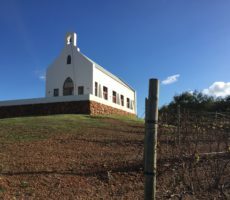 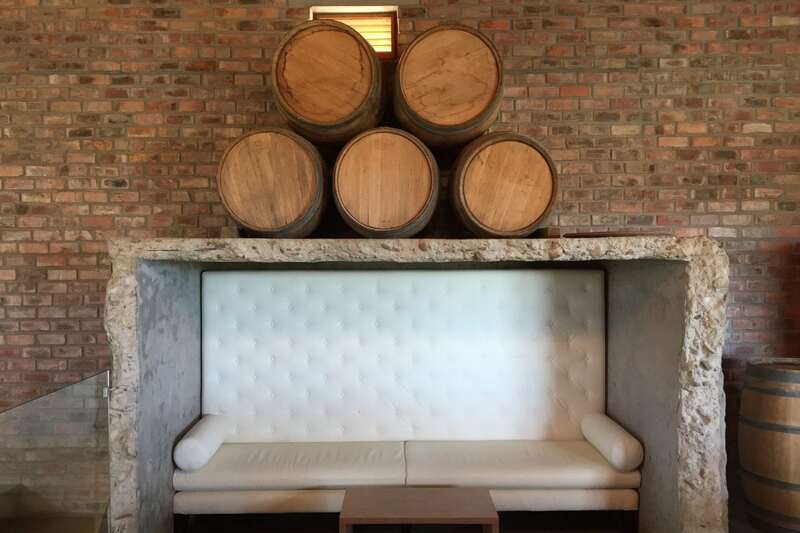 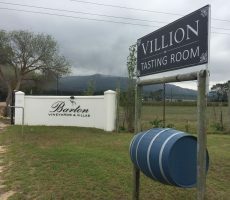 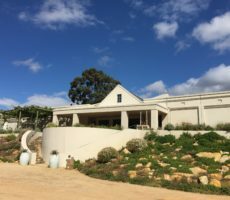 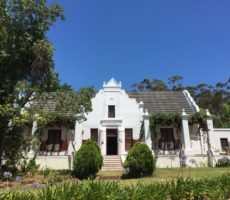 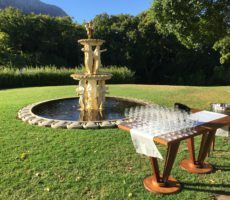 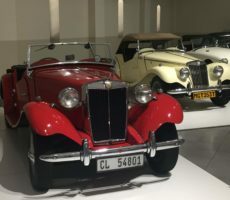 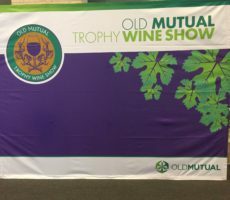 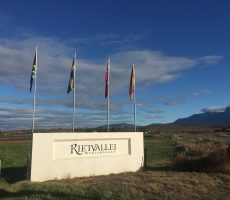 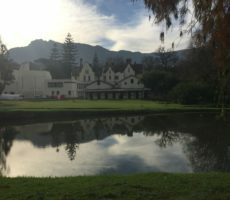 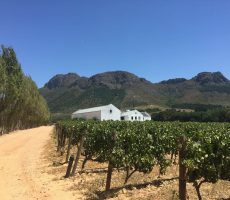 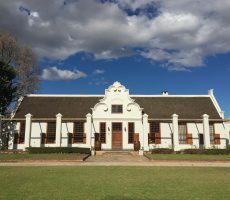 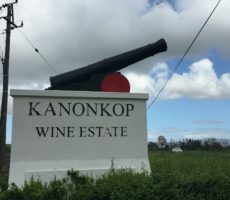 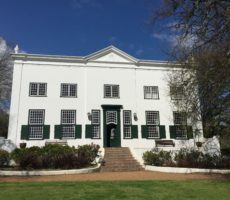 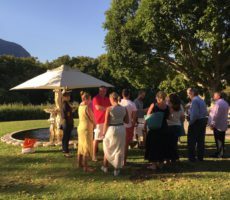 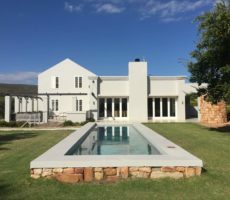 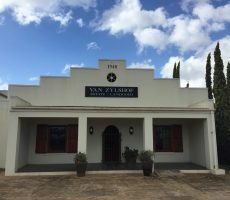 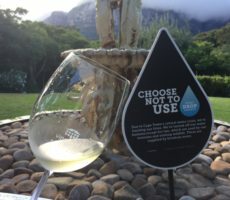 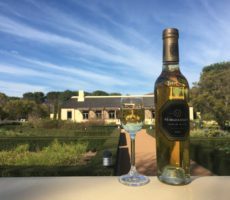 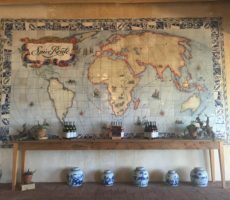 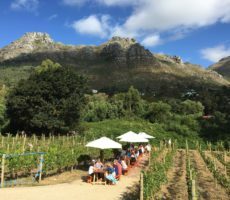 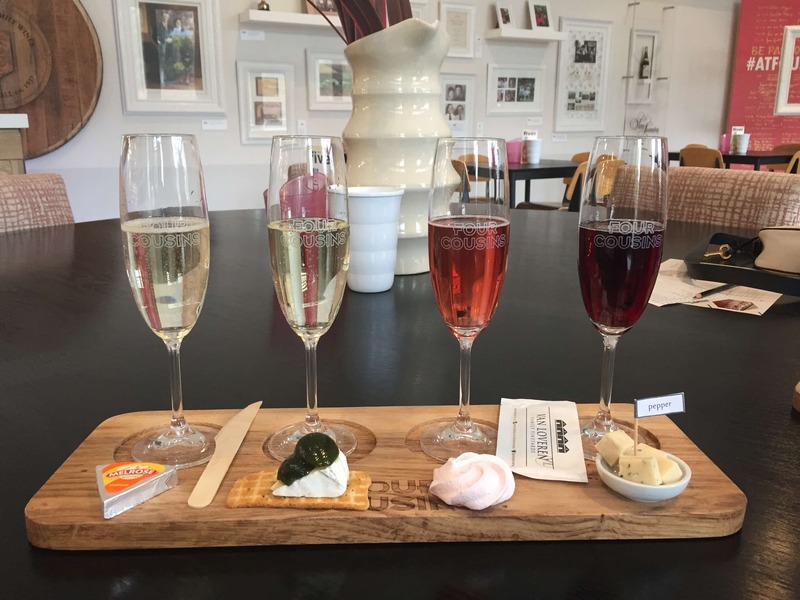 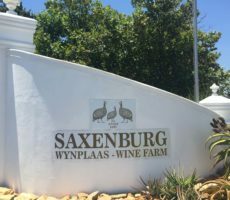 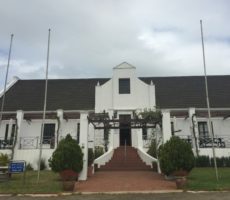 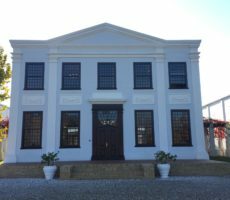 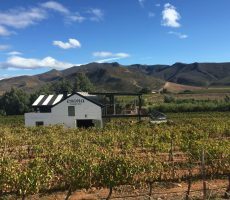 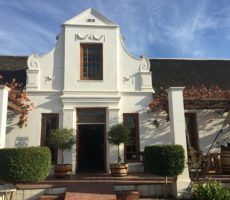 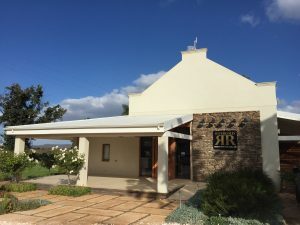 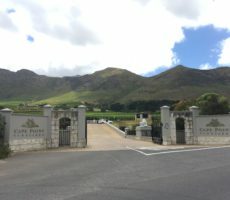 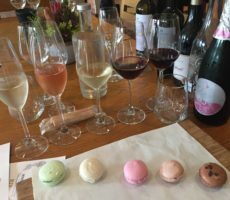 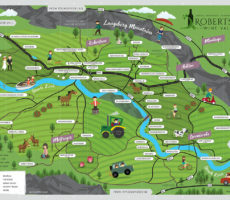 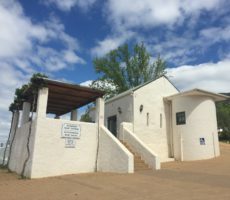 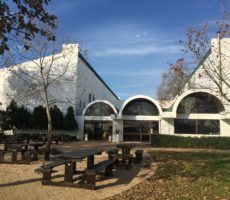 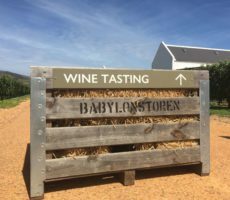 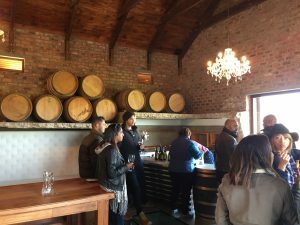 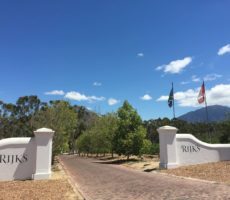 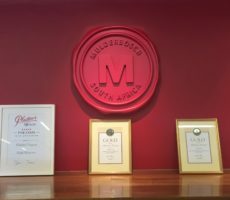 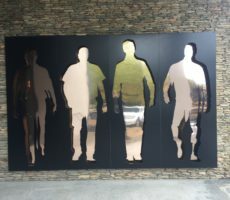 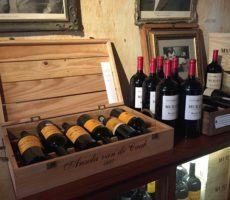 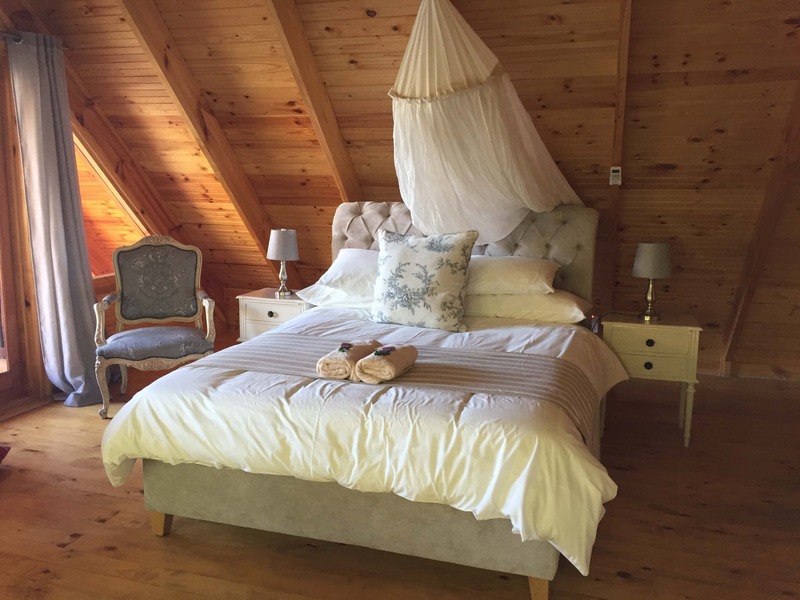 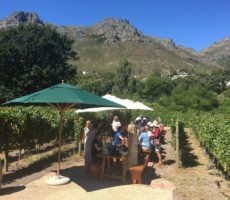 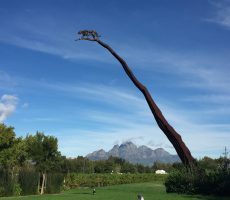 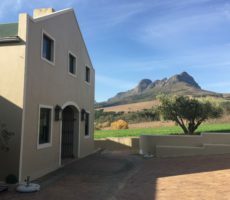 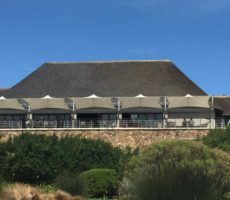 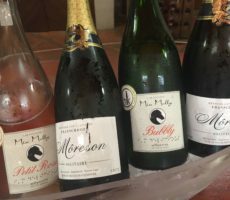 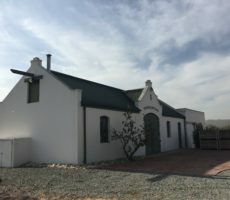 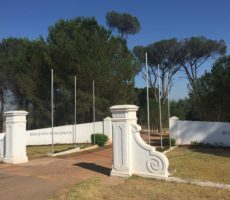 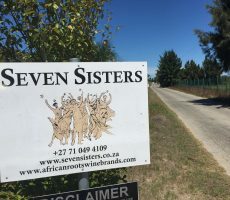 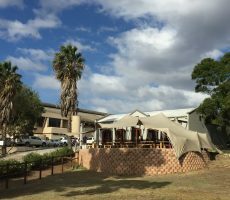 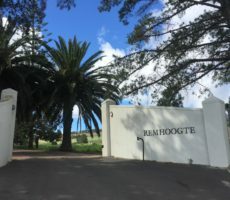 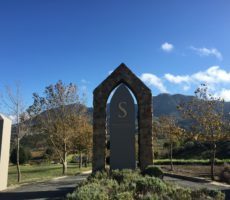 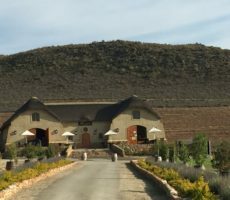 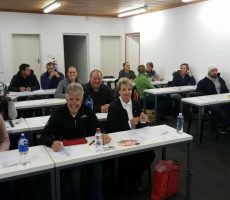 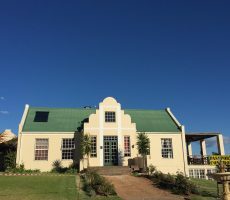 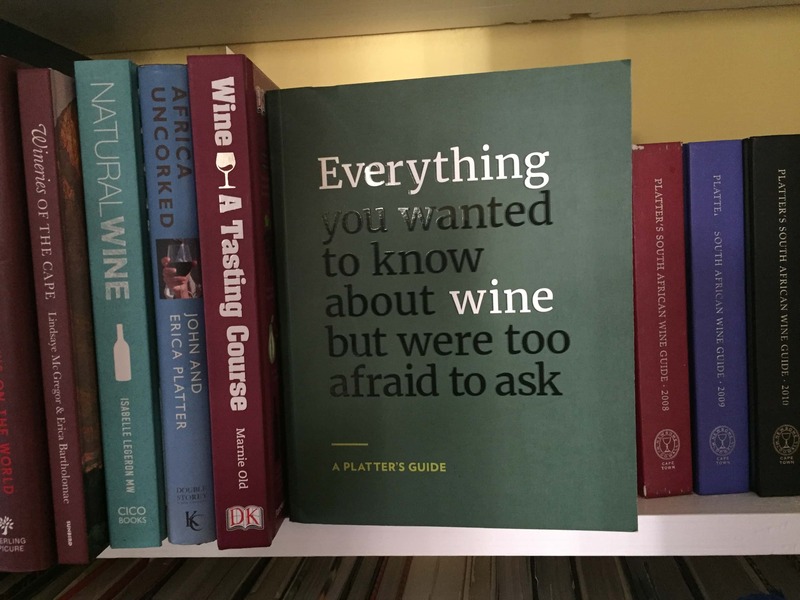 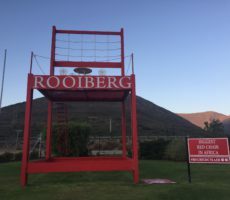 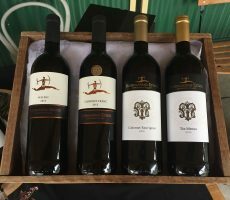 The wine farm is included in the Wacky Wine programme but, surprisingly given the quality of the wines and exciting Tasting Room, you will not find Rivergold either listed or shown on the map in the Platter’s Wine Guide. 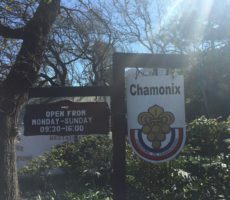 This, however, did not stop me from visiting. 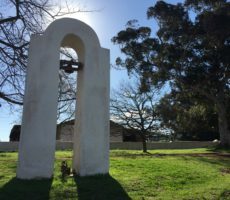 The entrance, with its distinct gold reversed ‘R’ on the slave bell pillar, was easy to find in the June afternoon sunshine. 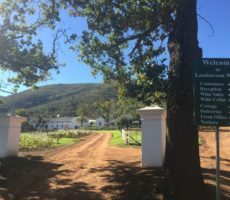 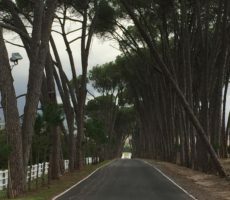 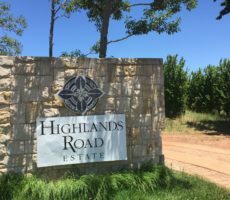 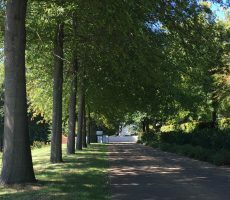 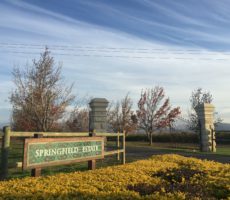 The light gravel road passed between established and soon-to-be-planted blocks of vines, with their golden autumn leaves, as well as farm outbuildings as it sloped down towards the river. 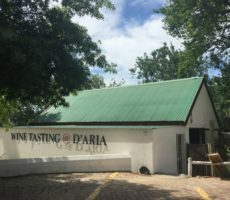 I parked and made my way to the farmhouse-style Tasting Building. 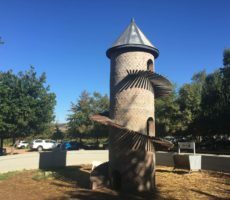 The inside was impressive and very cleverly designed. 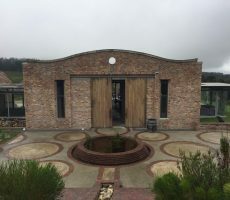 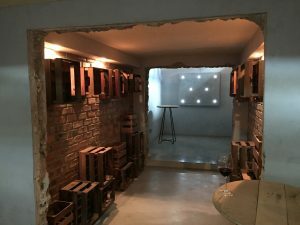 The old Cellar with its ancient concrete fermentation vats has been transformed into a contemporary modern Tasting Room. 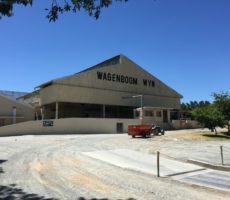 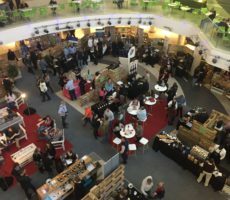 Some vats have been converted into seating booths whilst others, underground, have been repurposed as tasting and display areas with glass ceilings. 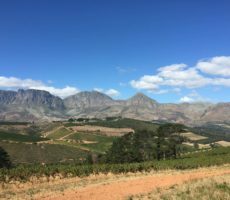 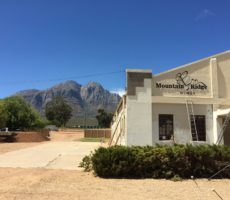 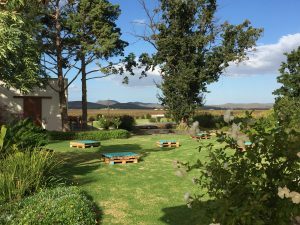 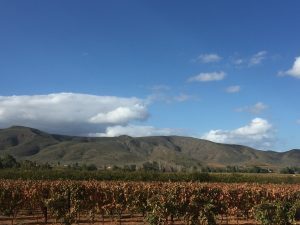 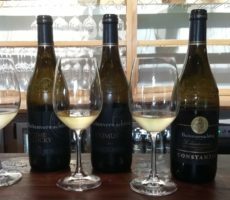 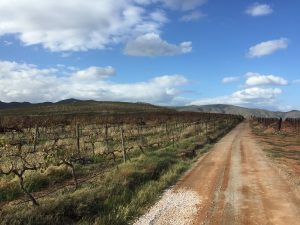 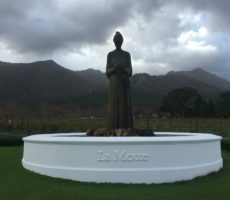 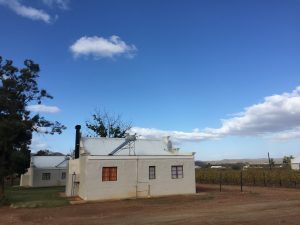 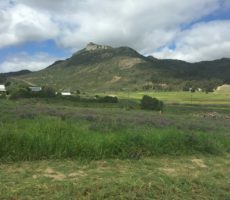 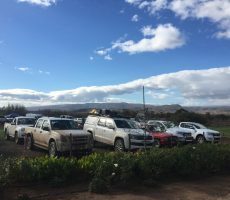 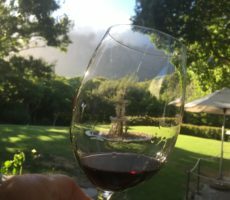 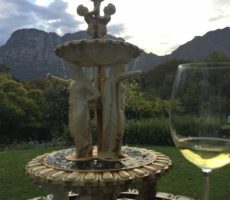 I ventured outside before tasting to see the expansive views of the Bonnievale Valley and with the panorama of the Langeberg Mountains beyond. 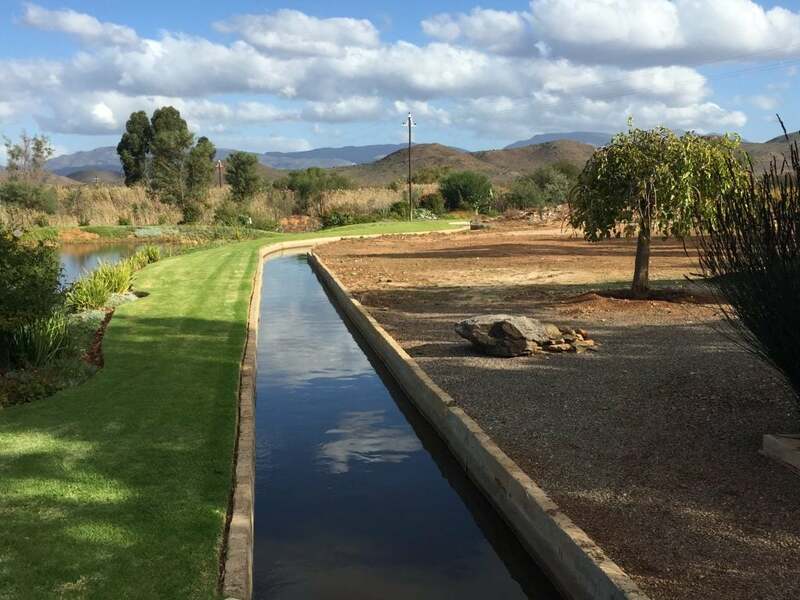 In front was a water canal (the same one I saw at Arendsig) with a grassed picnic area and dam behind. 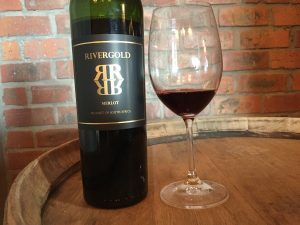 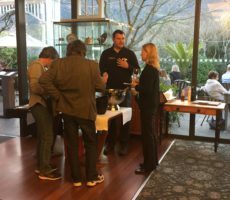 There was a sense of calm authority and peace about Rivergold that put me in a good mood for tasting. 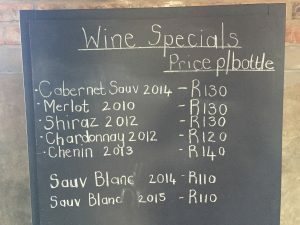 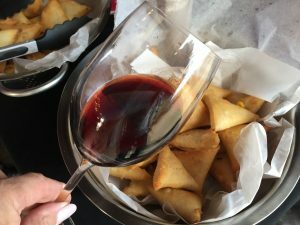 This was further improved by the Sauvignon and Samoosa offering (3 mince or cheese for R20) that were a welcome snack as I was hungry. 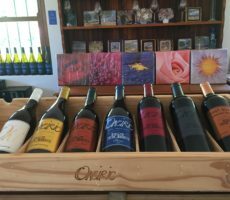 Rivergold was the first Wacky Wine winery to ask for the Wacky Wine vouchers. 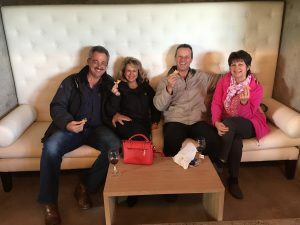 For the record, there are 6 vouchers for each wine farm that are exchanged for one tasting glass per voucher. 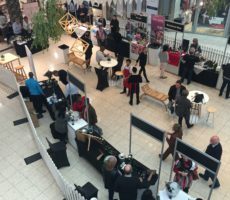 Few if any venues ask for the vouchers as they are fiddly to find and give. 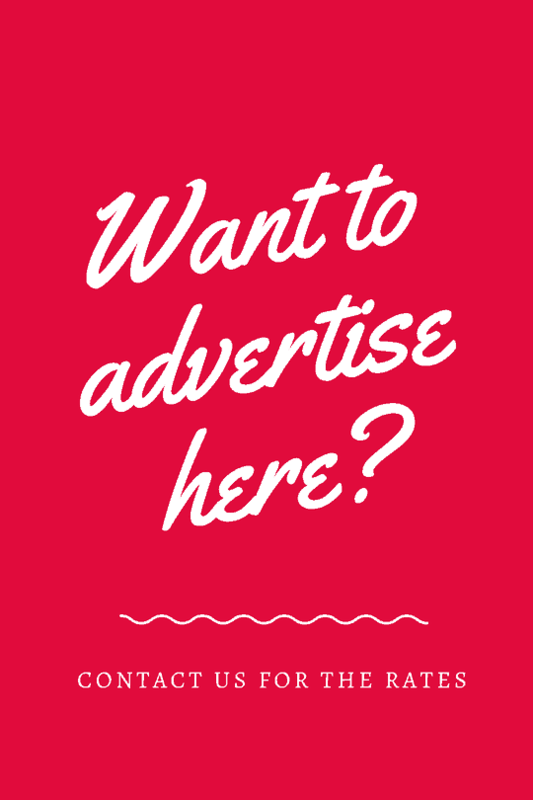 Moreover, when busy time is at a premium and queues will quickly lengthen if any delay. 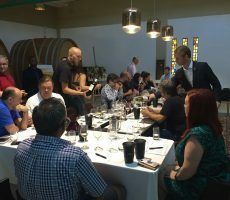 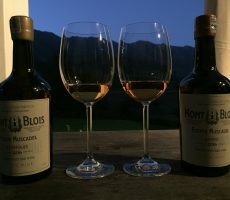 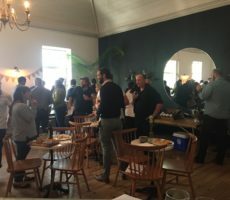 I sat at the 8 metre yellow wood table for the tasting. 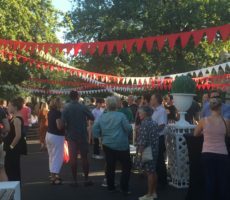 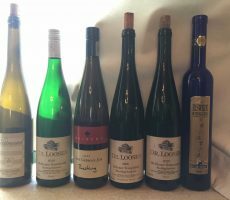 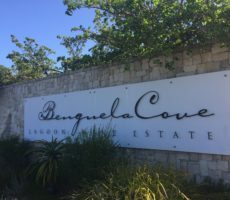 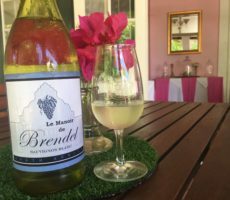 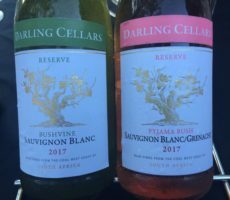 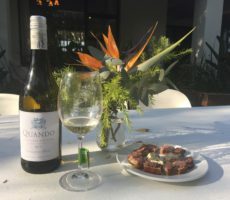 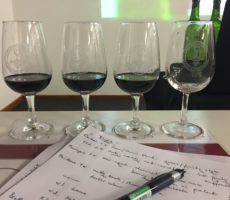 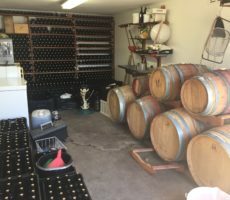 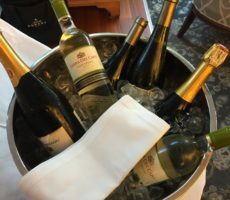 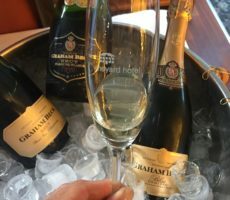 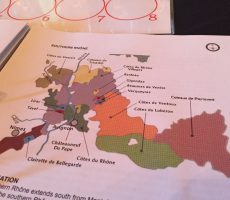 My first wine was a shiny bright pale greenish straw Sauvignon Blanc that showed a good intensity and complexity of herbal, citrus and tropical aromas that suggested judicious blending between different blocks or clones. 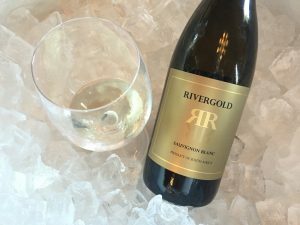 The wine was refreshing on the palate with a clean finish. 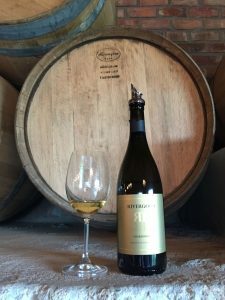 I rated the naturally barrel-fermented Chenin Blanc the same. 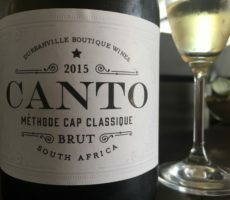 It too displayed tropical aromas with honey albeit of lower complexity than the Sauvignon Blanc. 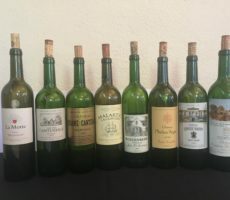 These followed through well to the palate that was smooth and full in the mouth. 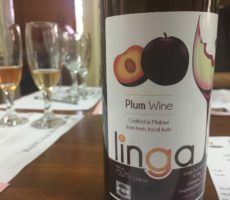 The medium-dry wine was well balanced with a pleasant and fresh feel to it. 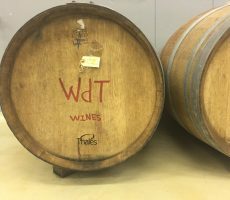 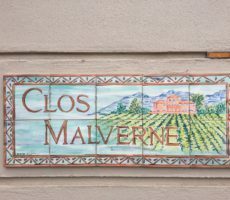 The Chardonnay was similarly made in old French barrels. 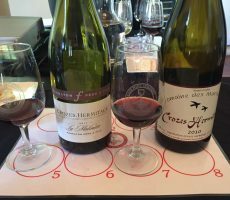 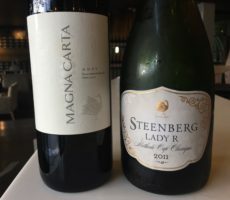 I liked it more than the first 2 wines, notably for its better palate. 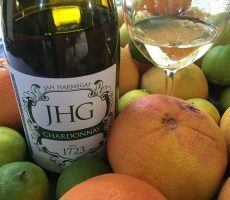 Part-baked apple and lemon notes gave an excellent nose that offered a slight perfumed character. 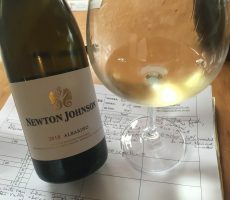 This was an excellent Chardonnay (great value for money at R120 too) with classic creaminess to complement a rounded and balanced acidity with above average intensity and length. 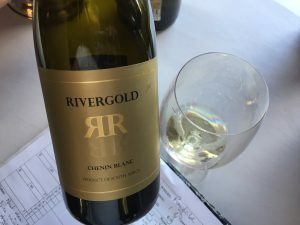 The lack of detailed information about Rivergold is tantalising. 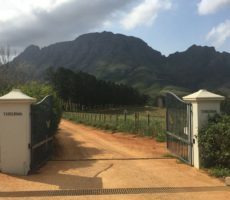 The website opens the door a little further. 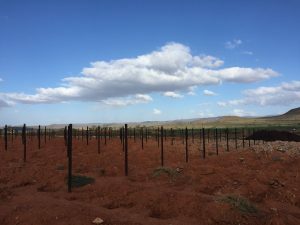 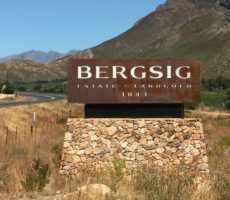 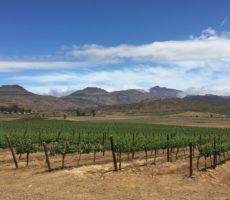 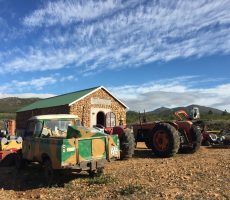 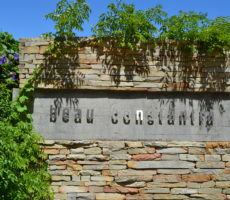 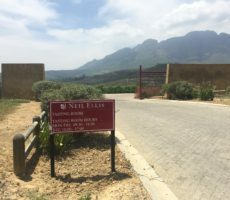 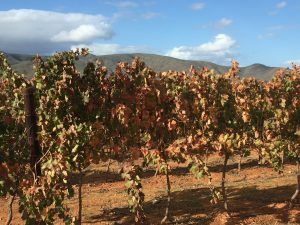 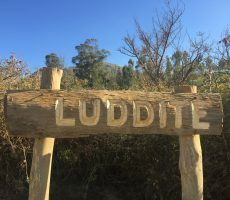 Some 12 hectares of vines are grown on the sandy alluvial soils 50 metres above the Breede River and on the rocky, lower slopes of the surrounds. 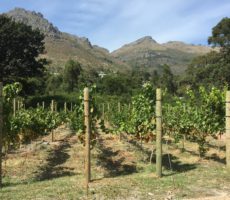 The slopes with the morning sun are planted with Sauvignon Blanc and Chardonnay whilst the red cultivars – Cabernet Sauvignon and Shiraz (together with a small quantity of Viognier) – are planted to receive warmer afternoon sun. 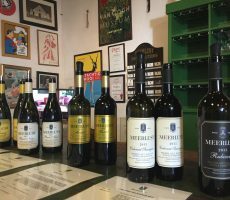 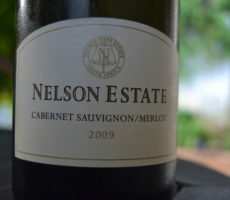 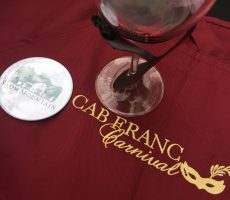 The Merlot was another wine that was typical of its variety; also great value for its 2010 vintage. 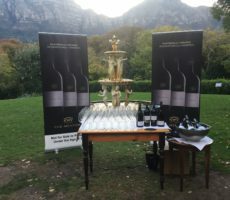 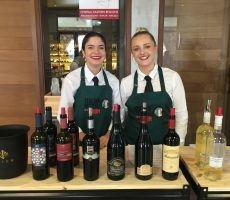 It showed classic medium-deep ruby colour and medium to full body in appearance and distinct, vibrant red plum, cherry and cedar fruits on the nose. 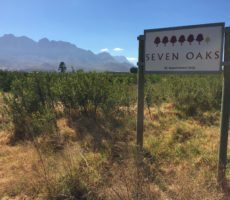 The cedar followed through to the palate where it was balanced by ripe, softening tannins from 12 months maturation in French oak. 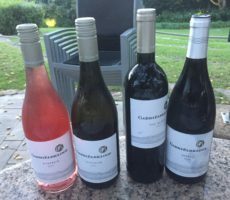 The final wine was my favourite and the bottle I bought. 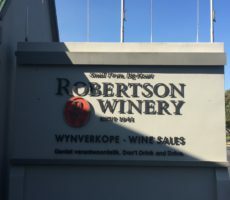 Also aged for 12 months in barrels, the deep ruby Cabernet Sauvignon was full of powerful red and dark fruit aromas of mulberry, blackberry and black cherry with definite herbaceous and fynbos undertones. 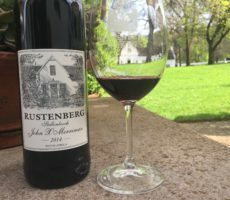 Silky smooth tannins on the palate balanced the fruit flavours to give just the right amount of structure and grip without being overpowering. 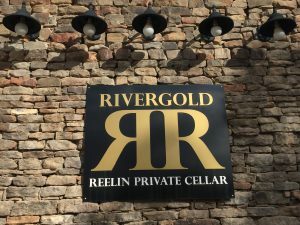 Rivergold had much to offer even though it seemed shy to reveal. 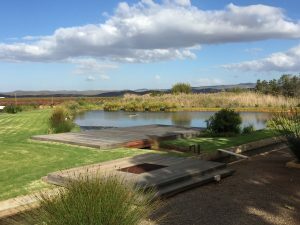 The setting and the expansive, open Tasting Room were magnificent. 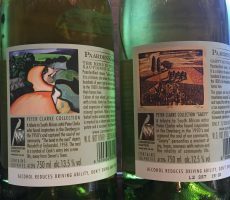 Better still, so were the elegant wines with their distinctive gold labels. 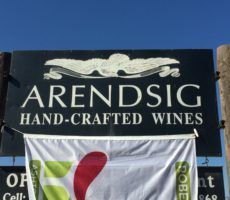 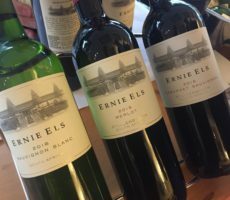 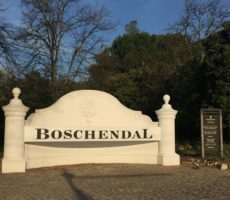 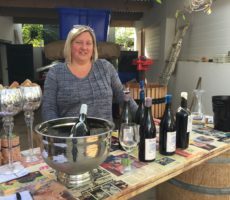 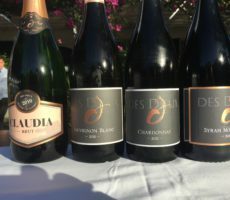 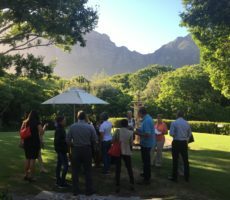 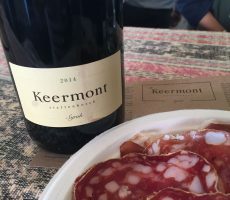 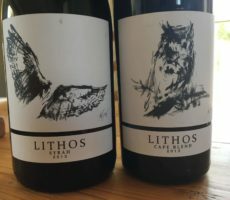 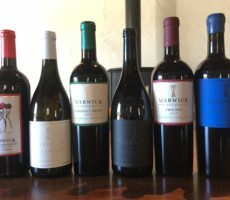 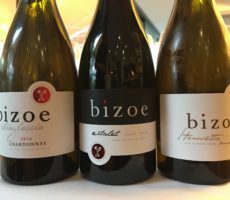 I have been unable to find out who the winemaker is but the wines have the hand of Lourens van der Westhuizen from next door Arendsig by their fresh style, positive intensity and excellent balance. 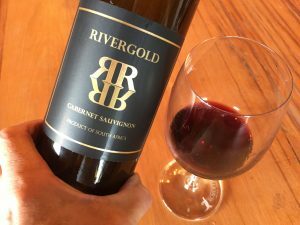 Rivergold is a hidden gem – go find it!